Over/Under: Over 148.5 at 1.90 Bet Now! 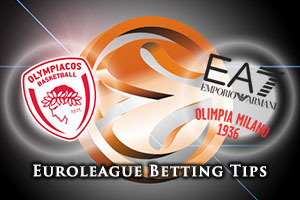 A team that has already qualified against a team that is joint bottom of the group may seem like an easy game to predict but it is hard to know what sort of mood Olympiacos Piraeus will be in. A 6-1 record so far gives them the right to take things easy but a number of teams in the group are looking for the Greeks to win. This is because a Milan defeat will be music to the ears of some of the other teams in Group B, needing the Italians to lose to enhance their own qualification prospects. If the hosts still had to win to qualify, you would back Olympiacos to destroy the Italians but as it is, they may not be so highly motivated. However, there should still be enough in players like Georgios Printezis and Othello Hunter to give the home fans, and some other teams, the win that they crave on Thursday night. Printezis should be fit to return from injury and the hosts will be keen to give him some game time, while hoping that Vassilis Spanoulis is fit to play as well. Milan really need Alessandro Gentile to be fit for this game. Gentile has averaged 20 points per game this season and even with him on top form, the Italians have struggled badly, holding a 2-5 record in the group. If Gentile is out, the rest of the EA7 Emporio Armani Milan squad will need to showcase a level of skill and effort that has looked far beyond them this season. However, the knowledge that just one win will propel them back into the running in Group B has to be a strong incentive for this Milan side to take on a team who have already qualified. Understandably, the bookmakers think the home side are clear favourites for this game. 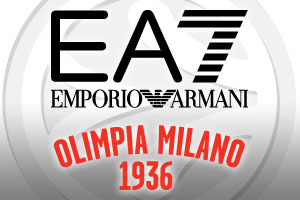 Look to take EA7 Emporio Armani Milan at +11.0 at odds of 1.90. When it comes to the Over/Under market, look to go2 at odds of 1.90 on Thursday night. Bet Now!